We will have pet swag from City Dog Magazine and friends, themed cocktails and the opportunity to take home a furry friend from Motley Zoo Animal Rescue. Already got your 4-legged bestie? Pop by and let the mutts mingle, grab some swag and meet some new people over a crafted cocktail. 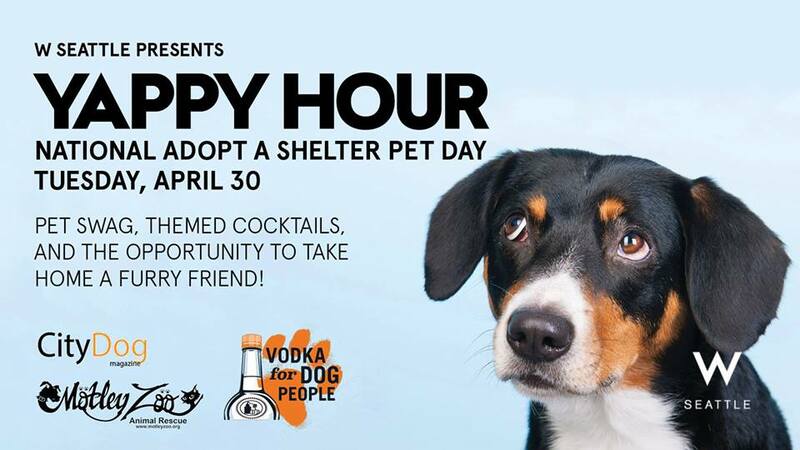 In partnership with Tito's Vodka, $1 of every specialty cocktail sold, will be given to Motley Zoo Animal Rescue. COMPLIMENTARY VALET PARKING for 2 hours at W Seattle with receipt of purchase in TRACE.